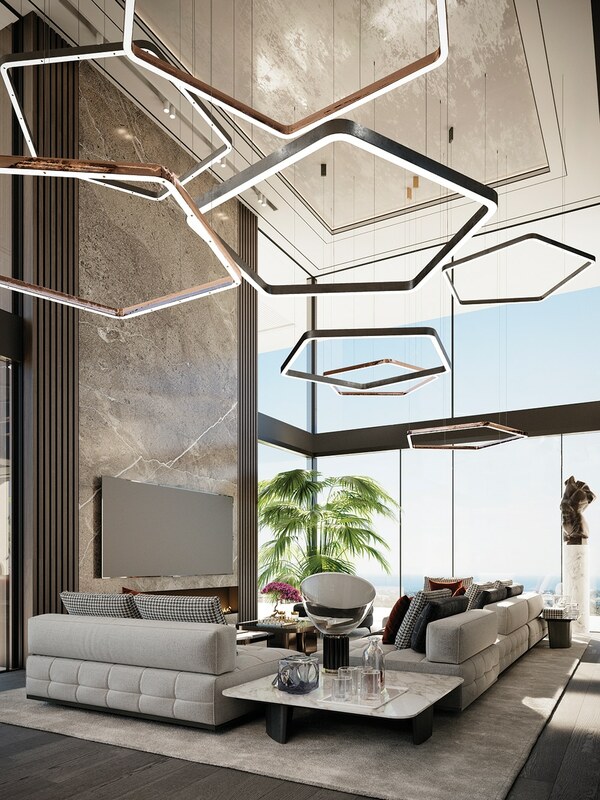 No architectural element adds drama to an interior quite like a ceiling that soars. 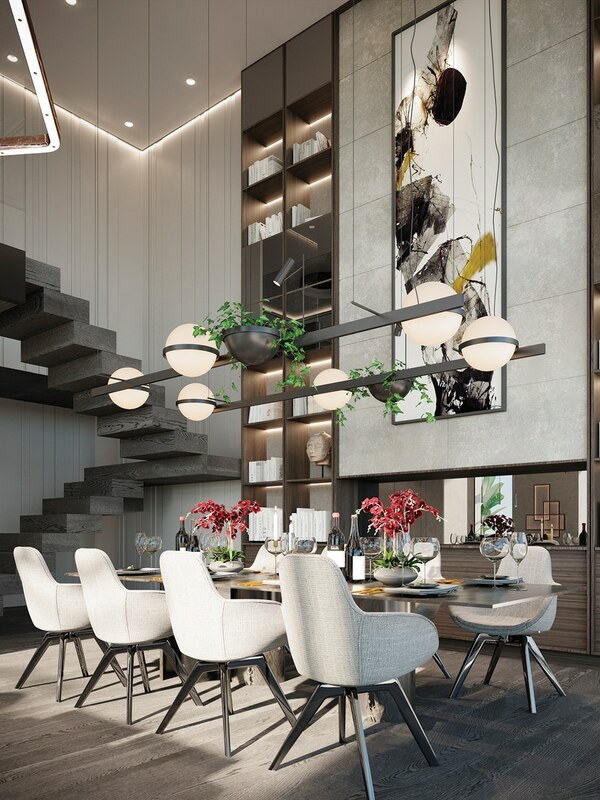 In this blog we showcase just that, and a great deal more besides, in a stunning penthouse inspired by the classic luxury Manhattan duplex. The 6.5-metre ceiling allows for dramatic use of space: the bedroom, situated upstairs, has an open plan view into the lounge and kitchen downstairs. This creates an easy flow between the two levels of the penthouse, connected by a custom-built solid wood staircase. A simple click of a switch turns the glass panel of the bedroom opaque, making for a private space within. Above: Lounge: This is the view from the bedroom over the lounge and terrace on the lower level. Above: Lounge: Olive stools by Brabbu and rust-orange cushions add colour to an almost monochrome lounge. The overhead lighting is by Henge, the nest of coffee tables by Classicon and the circular lamp by Floss. 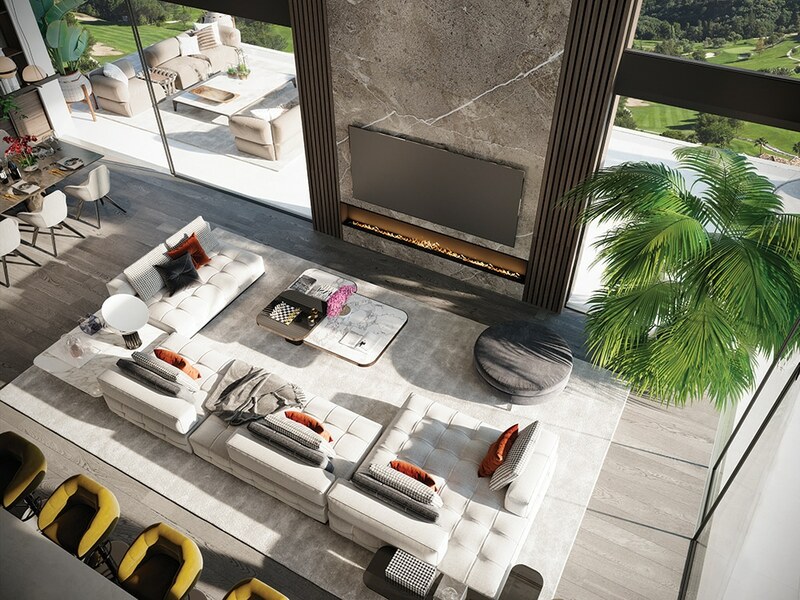 Above: No need to choose between the sunset and your favourite show – this lounge allows you to enjoy both from a comfortable Minotti sofa. The custom-made kitchen is open-plan, set practically between the dining area and the terrace. It’s one of these great kitchens that function like one but look almost like a bar. The dining area is both stylish and cosy. The lowered lights with the plant pots, by Vibia, were used here to create intimacy and reduce the cathedral-like feeling while seated at the dining table. Above: A dream setting for dinner. White leather chairs with gold-plated legs by Tom Dixon and low lights by Vibia. All of the windows have minimal frames, allowing as much light in as possible, all day. The lounge is oriented towards the sunset, with a TV set on a tall panel with a beautiful marble effect. 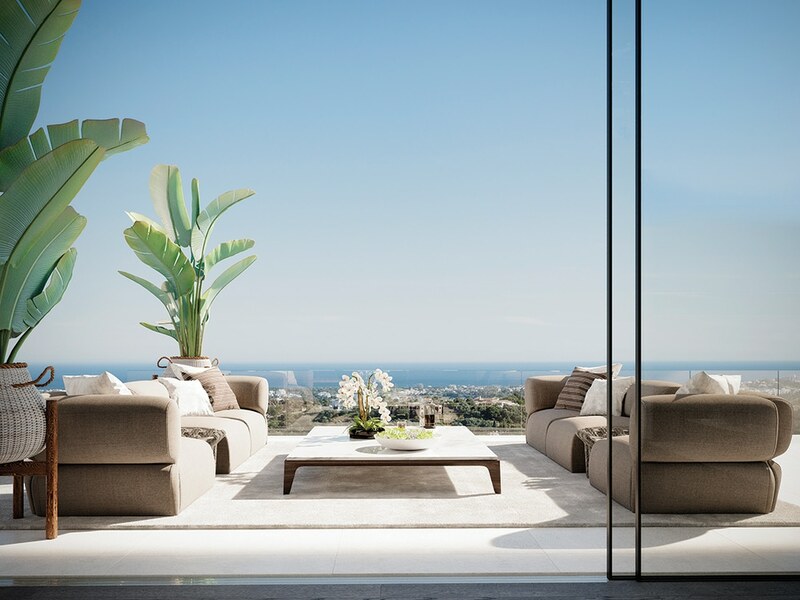 The terrace enjoys 180-degree sea views from the B&B Italia outdoor sofas. The impressive space created between the terrace, the lounge, the dining area and the kitchen can easily be used for entertainment, but benefits from clearly separated zones for everyday life. 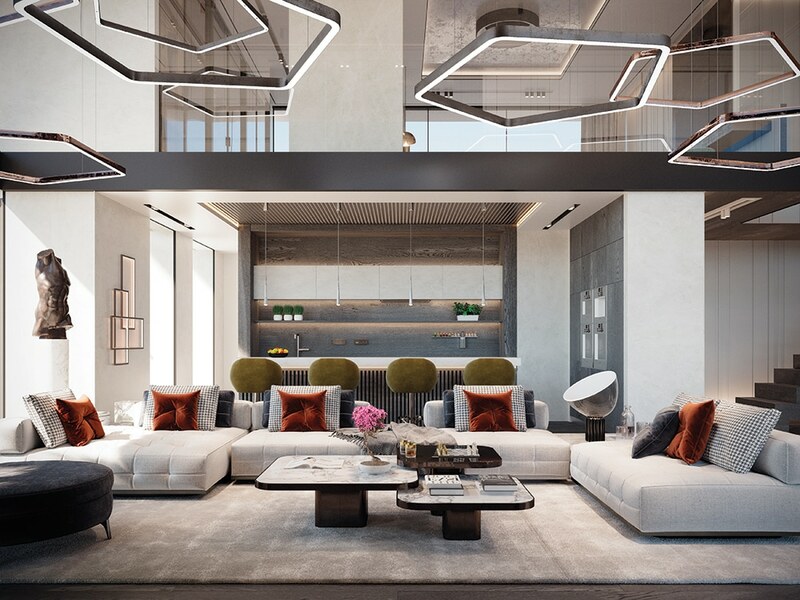 The utmost attention was paid to the selection of luxury materials, designer furniture and art – all of which are touches seldom seen in most development projects. Above: Whether used for dressing up or answering emails, this multifunctional vanity unit is both secluded and bright. The master bedroom has its own terrace on one side and the lounge with its sea view on the other. 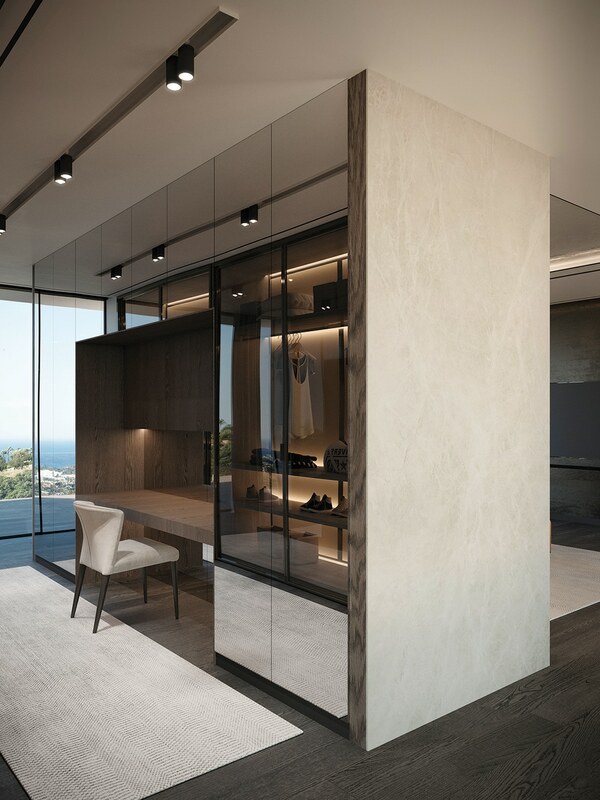 Even the walk-in wardrobe gets so much light from both sides that you don’t feel confined to a space full of clothes. 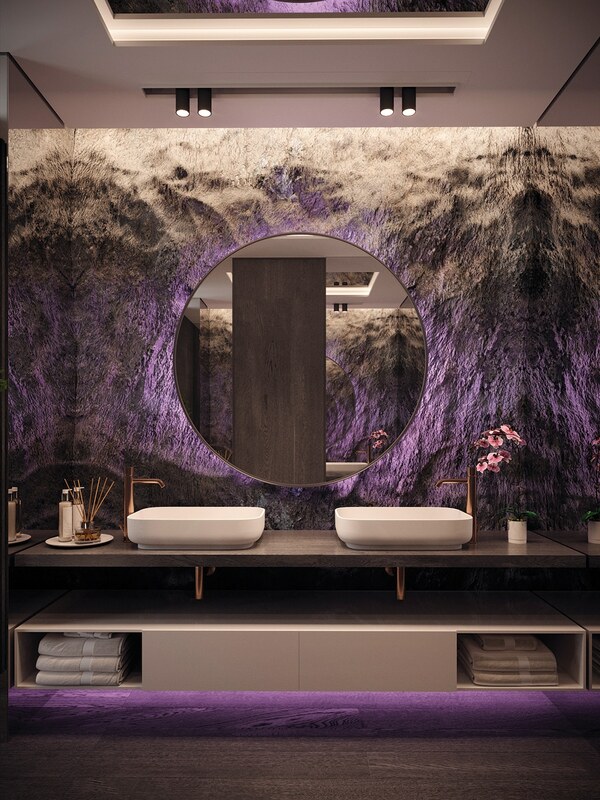 The multifunctional vanity unit, set in the centre of the space, can also be used as a desk. The master bathroom (above) has a predominantly masculine character. 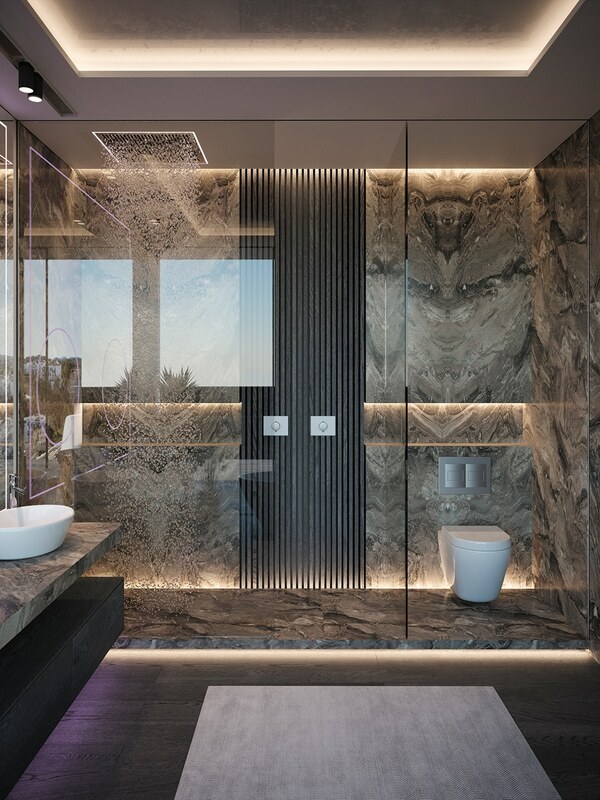 Made entirely of dark marble with inky wood and a touch of neon lighting, it gives an urban, art-smart feel to this intimate space. Above: The guest bathroom has a natural stone wall behind the backlit mirror. Downlights add a touch of drama. 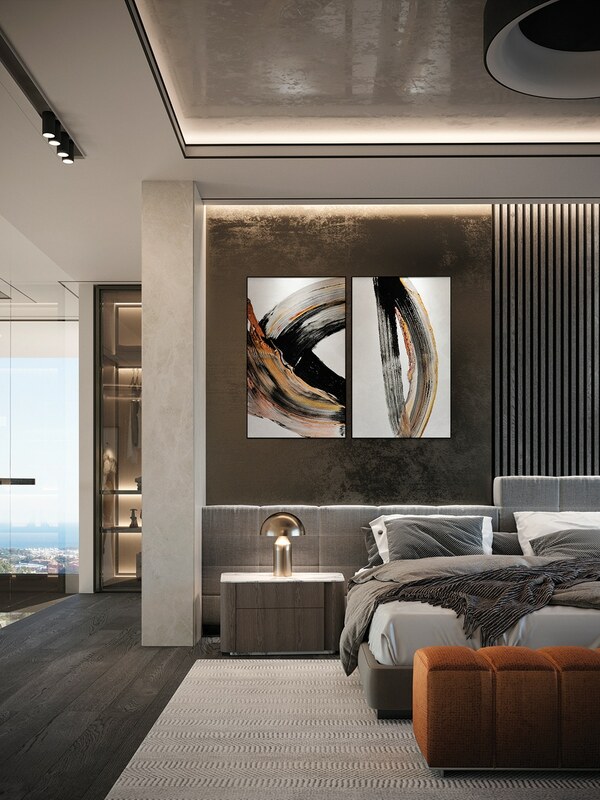 The quintessential metropolitan style, characterised by chic minimalism and multifunctional space, defines this penthouse. If the big city attracts you, but without the hustle and bustle, this is your kind of home.